Oct. 5, 2010 -- The College of Ethnic Studies honored four individuals and an art collective for their service to the field of ethnic studies and support of diverse communities. Presented on Oct. 3, the 2010 Exemplary Leadership Awards honored an Oakland physician who responded to the Haiti earthquake, an alum who helped create a clinic to treat the uninsured, a teacher who championed bilingual education in San Francisco schools, and a Native American veterinarian, teacher and tribal elder. Also honored was an Oakland-based art collective whose work gives voice to marginalized people. "Each of the people we are honoring is a brilliant example of the kind of leadership that is not only about individual contribution, it's about working collectively to reach a broader community to make a stronger society," said Kenneth Monteiro, dean of the College of Ethnic Studies. "They are champions of social justice." 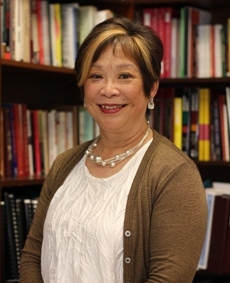 Laureen Chew, Ed.D., associate dean of the College of Ethnic Studies and an SF State alum, was recognized for her leadership in the movement to make ethnic studies a reality in public schools and her continued efforts to ensure that higher education is accessible to everyone who seeks it. As a student, Chew was jailed for participating in the 1968 SF State campus strike. Chew has championed bilingual education in public schools and became the first Chinese woman to chair the elementary education department and the first tenured female faculty member in the Asian American studies department at SF State. Bernard A. Hoehner, D.V.M., an early member of the American Indian studies faculty, was recognized for his leadership in the Native American community and his contributions to teaching. Born and raised on the Standing Rock Reservation in South Dakota, Dr. Hoehner was a respected Lakota elder. The first Native American to earn a doctorate in veterinary medicine, Dr. Hoehner established a veterinary practice before making a career of teaching Native American language, earth science, music and religion. Family members accepted the award on behalf of Dr. Hoehner, who passed away in 1995. Evelyn Carolina Monico, M.D., alum and a co-founder of Clínica Martín-Baró, was honored for her vision and work on the Mission District community clinic that serves people who struggle with serious health conditions and cannot afford health insurance. Opened in 2007, the Clínica has already attracted more than 500 patients. University of California, San Francisco medical students and faculty provide treatment, while Raza studies classmates manage the clinic, conduct community health education programs and lead the grassroots funding that provides up to 99 percent of the Clínica's budget. 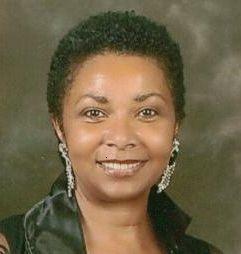 Ramona Tascoe, M.D., is an ordained minister who was recently appointed U.S. Director of Health for the Kimbanguist Church of Congo. She has led medical missions to Kenya, Tanzania, the Democratic Republic of Congo, Angola, India, Sri Lanka and most recently Port-au-Prince, Haiti, where she was asked by the International Medical Corps to oversee the work of U.S. doctors and nurses providing medical relief in Haiti's largest public hospital. A member of the Black Student Union, Dr. Tascoe was active in the 1968 strike to hire more black professors, admit more black students and create the College of Ethnic Studies. The Dignidad Rebelde Graphic Arts Collective was recognized for giving social and political voice to marginalized communities. Artists Jesus Barraza and Melanie Cervantes created iconic posters that dominated a number of 2010 public protests, including protests against Arizona's new law that requires law enforcement officers to question anyone thought to be an illegal immigrant. Barraza began his graphic design business while an undergraduate at SF State. The Exemplary Leadership Awards are given annually to recognize SF State faculty, alumni and others who have contributed significantly to the College of Ethnic Studies, the academic field or have demonstrated exemplary leadership in service to diverse communities. Awardees are nominated and selected by College of Ethnic Studies faculty. Past recipients include: actor, activist and SF State alum Danny Glover and former College of Ethnic Studies faculty Nathan Hare, Jim Hirabayashi, Ana Montes and Elizabeth Parent. The College of Ethnic Studies is the only college in the country devoted to the field.